Erik Dietman’s (1937-2002) oeuvre is part of a “cross between verbal poetry and the reality of things”. the Swedish artist who settled in France in 1959 had a close relationship with language and puns. As such, Dietman was close to Rabelais, the wordsmith; he practiced a form of artistic spoonerism. 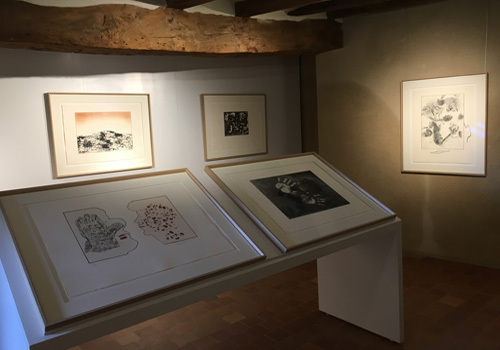 The works on view in the Musée Rabelais call to mind the imagination of the author of Gargantua: Portfolio (drawings-lithography), Homage à François Rabelais (1983), the Proverbe Turc (1998), La Naissance du Monde (1990), Table Rouge pour Nicolas Flamel (1988-89) and L’Ange aux Merveilles (1993). 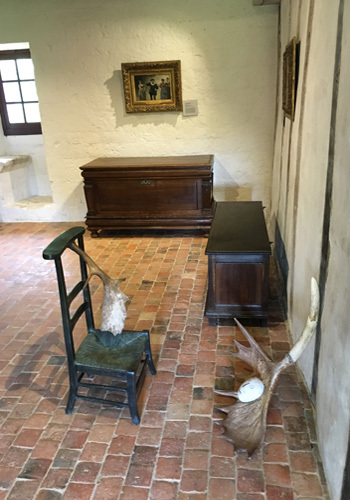 The artist was fond of the Touraine region, and through his work (drawings, engravings, sculptures) Erik Dietman was quite close to the work of François Rabelais through that freedom of spirit and love of exuberance. 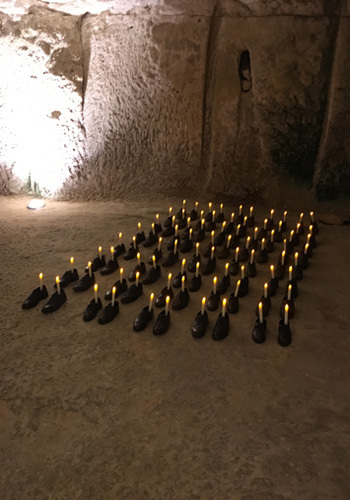 Just as Rabelais invented a heightened reality to speak out against the excesses of his day, so Dietman was forever mistaking appearances with reality, with the result that nothing has its definitive place.